After exciting women’s final there was a short break to grab some food or just enjoy the sunshine. Then the crowds headed back to the woods to find the best places to view the men’s race. There were definite camps for the various countries and it was great seeing the number of the women’s racers stayed out to watch the race as well. Instead of watching the start again, we camped out early in the woods. 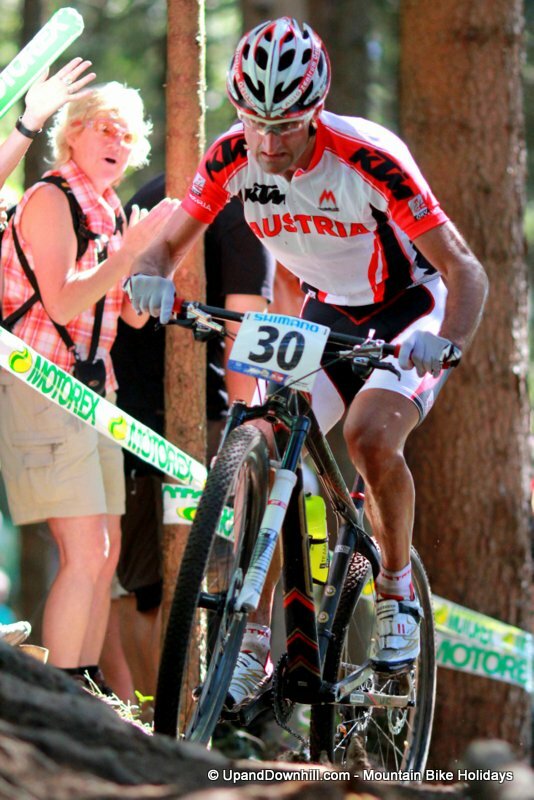 Team Austria came in mid table for the women’s race and therefore high hopes were on Markt for a good placing. He definitely wasn’t lacking in determination. 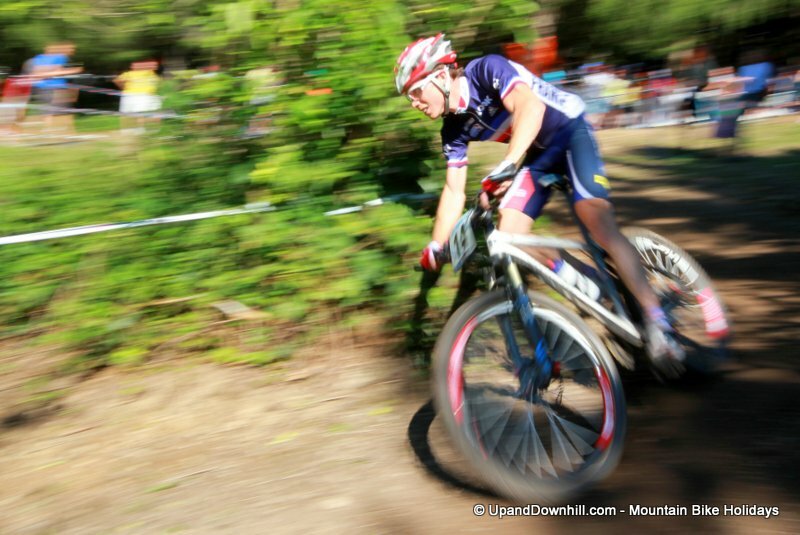 If the course hadn’t been in such good condition (especially out of the woods), I doubt the riders would be able to hit these corners with such speed. They often say that sports photography is all about the action and the facial expressions. Hard sometimes to get both but I was pleased with the sternness in this riders eyes. Even after slogging around the course for over an hour Spain’s Carlos Coloma Nicolas still had the energy for a little show boating on one of the final jumps of the course. A little stab at some black and white photography. 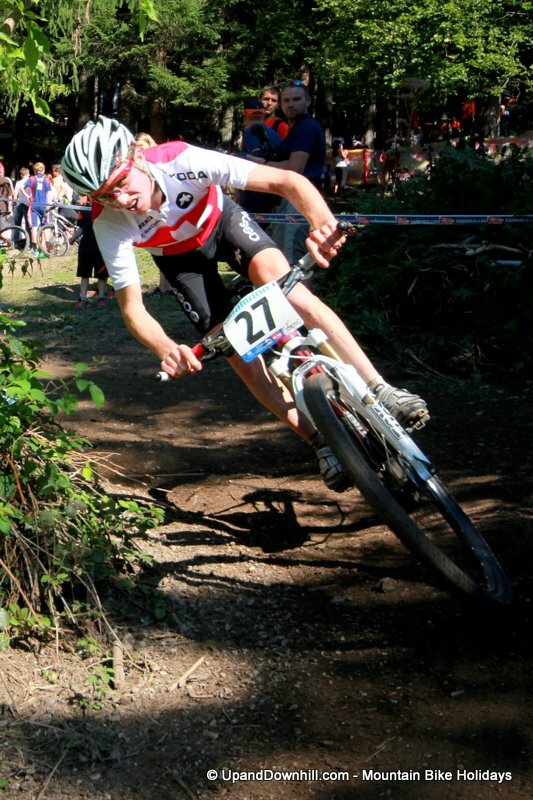 Second place rider Flueckiger taking on the singletrack. 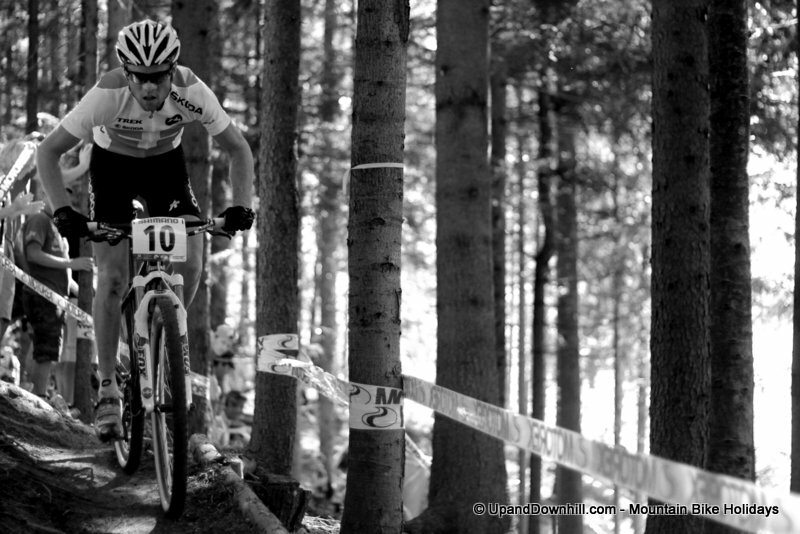 I would be nice to get a chance to try and ride some of these trails. Obviously at a much slower pace. I doubt I’d be riding them of a bike worth probably about €10,000. 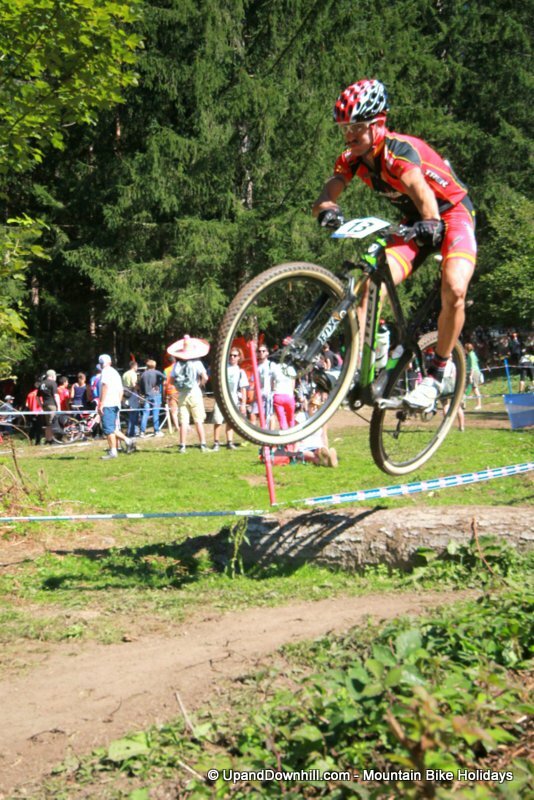 Flueckiger holding onto second place on the last lap of the UCI XCO Men’s World Championships. 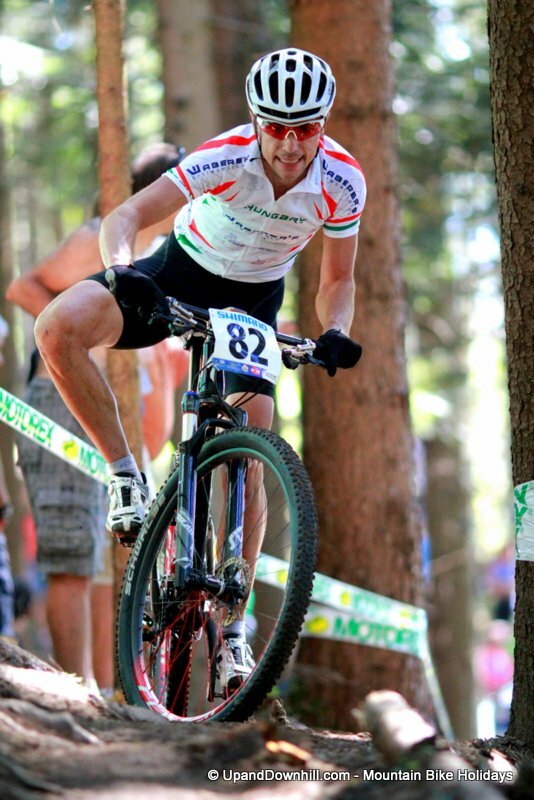 Looks like 29ers were definitely the bikes for the race. There were one or two of the new 650b but a distinct lack of 26inch wheels. 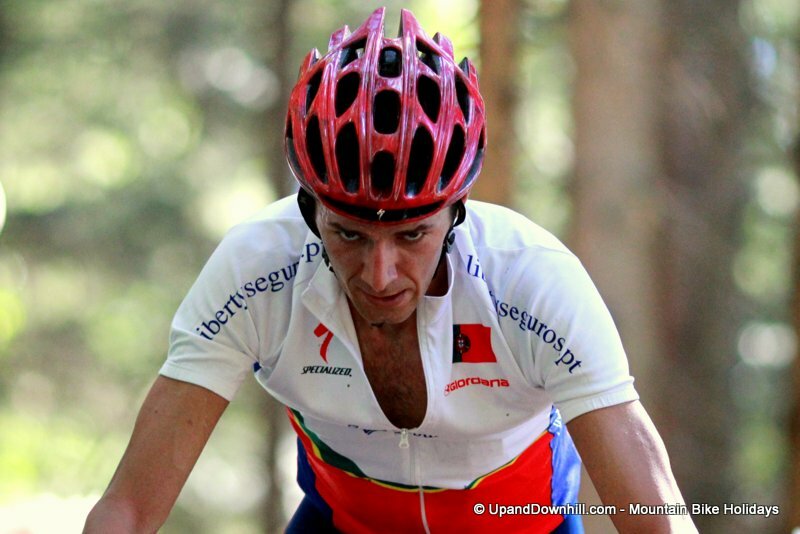 One of the favourite riders on the circuit Julien Absalon takes fourth place after a technical problem in the Olympics. We added this post on Saturday, September 22nd, 2012 at 10:03 am. 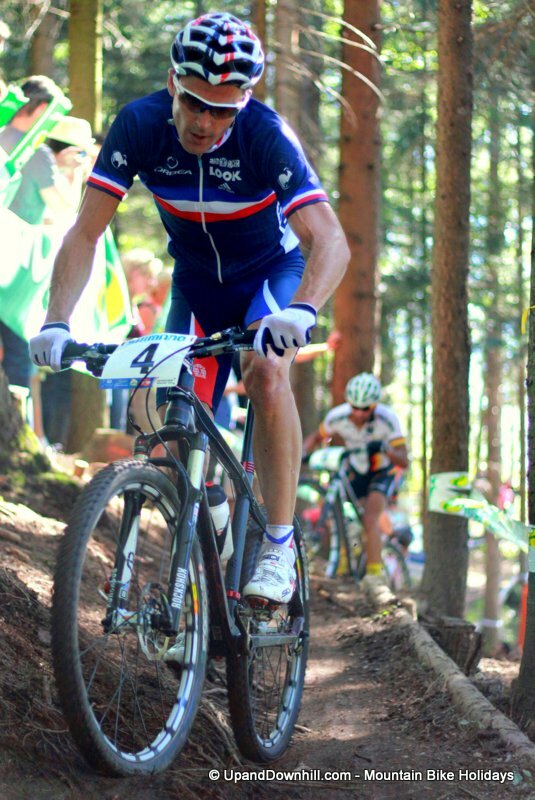 You can follow our blog feed for all the upandDownhill mountain bike holiday news. Email updates available as well, check out the sidebar.